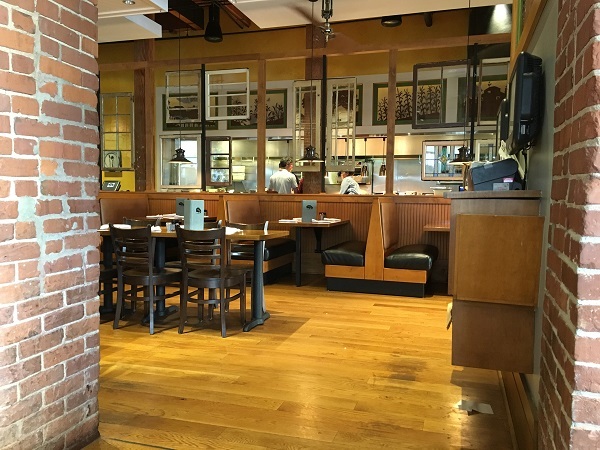 Tupelo Honey Cafe, Chattanooga TN – Marie, Let's Eat! One day in late May, Marie and I drove up to Chattanooga with our son to look at what we hoped would be the house that we’d rent in the city. It’s smaller than the one we left behind, but the kitchen is larger and it has a screened patio and we found room for our shelves. The search was over and we were ready to celebrate. I’m still a long, long way from being used to Chattanooga, but I like taking different ways across from our part of town – East Brainerd – over to downtown and back. One of these is taking Shallowford through the Ridgeside neighborhood, which is full of twists and turns and steep hills. I don’t know whether I’d enjoy living in a neighborhood that is so hilly, but it sure is fun to drive through! After that entertaining drive, we made our way downtown to the local location of one of our favorite restaurants. Tupelo Honey Cafe has risked a little of its Asheville identity by expanding the way it has, but so far it appears to be paying off. It is unusual among chains because it has just a single location in each of the eleven southeastern cities where it has opened. Each is very carefully curated – an overused word, but appropriate here – without a line out of place anywhere. 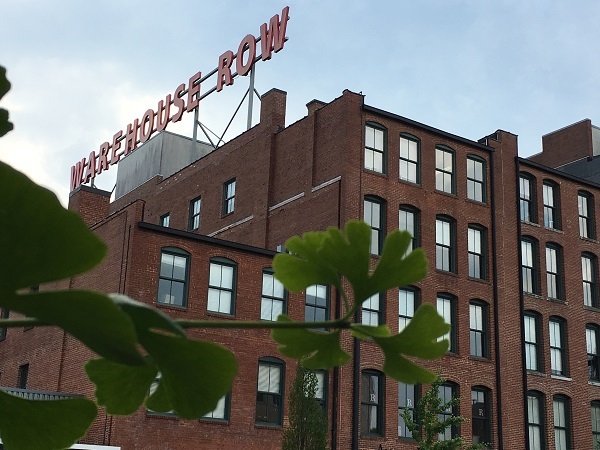 The Chattanooga location is in a modern development called Warehouse Row. For Atlantans, think Ponce City Market with far fewer restaurants, and no old-timey amusements on the building roof. There’s an Anthropologie and a shop that sells stationery, all very tastefully reclaiming a long-abandoned eyesore. We set a reservation for 6:30 and arrived a little early, but they were able to seat us. We were planning to eat lots of barbecue the next day, so I had a small vegetarian dinner here. 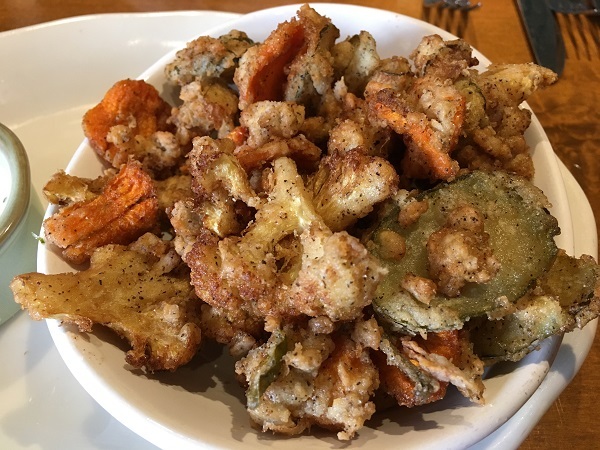 We started with the “Pickled and Fried” appetizer, with some wonderful carrots, cauliflower, and pickles. Our son also stayed meatless by ordering the kid-sized selection of three sides. He didn’t claim to be all that hungry, as usual, but he did enjoy them. Tupelo Honey offers completely terrific salads. 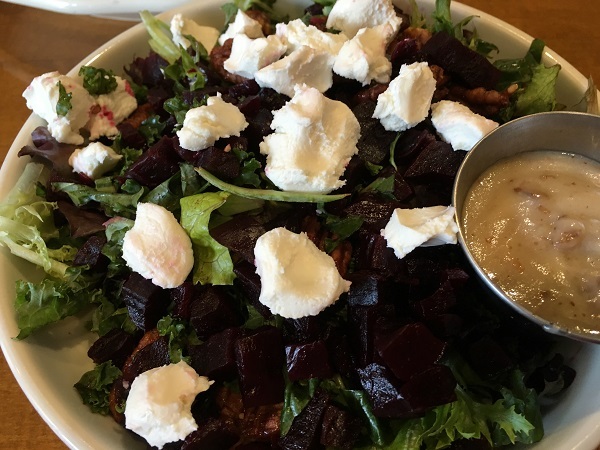 I went with the Scarlet Beet Salad, which includes chopped salt-roasted beets, spiced pecans, and goat cheese with mixed greens, and a pecan vinaigrette dressing. These beets are just completely wonderful. It’s a delicious salad which I would love to have more frequently. I hope that we can buy pecans as good as these from one of the local markets! Marie had the trout, which I loved at one of our visits to the flagship Asheville store, and she loved it as much as I did. She also took advantage of the bar offering some house-made sodas and enjoyed a peach drink that went very, very well with the trout and the beets. 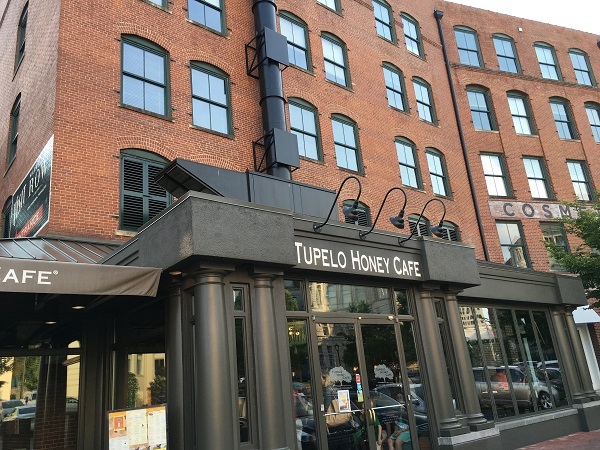 Tupelo Honey is probably a little more of a special event place for us than a location that we’re likely to visit regularly, but we’ll certainly return. I wish we could have found a good place to live within walking distance of Warehouse Row, but maybe someday down the line. It’s very family-friendly, and we left at the same time that three families, toting-slash-dragging a mob of children, all arrived together. “There sure were a lot of kids,” observed our son. Posted on August 1, 2016 by Grant G.Posted in chattanooga, modern american, regional chains, southern, tennesseeTagged chattanooga, modern american, regional chains, southern, tennessee, warehouse row. I’ve had several good meals at Tupelo Honey, but it is something of a splurge. 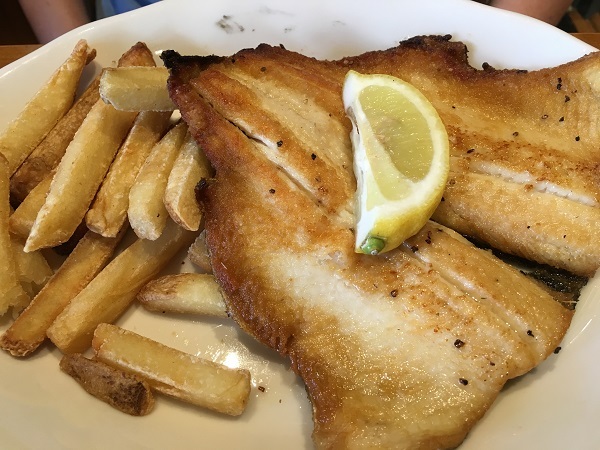 Have you tried Countryside Café in Ooltewah yet? It’s a hole in the wall meat and three with good veggies and fried chicken, and excellent homemade pies and cakes. Not yet, but we have seen it across the street from Kevin Brown’s. (In fact we were just there a few days ago for a “take two” story coming up next month.) Thanks for the recommendation!